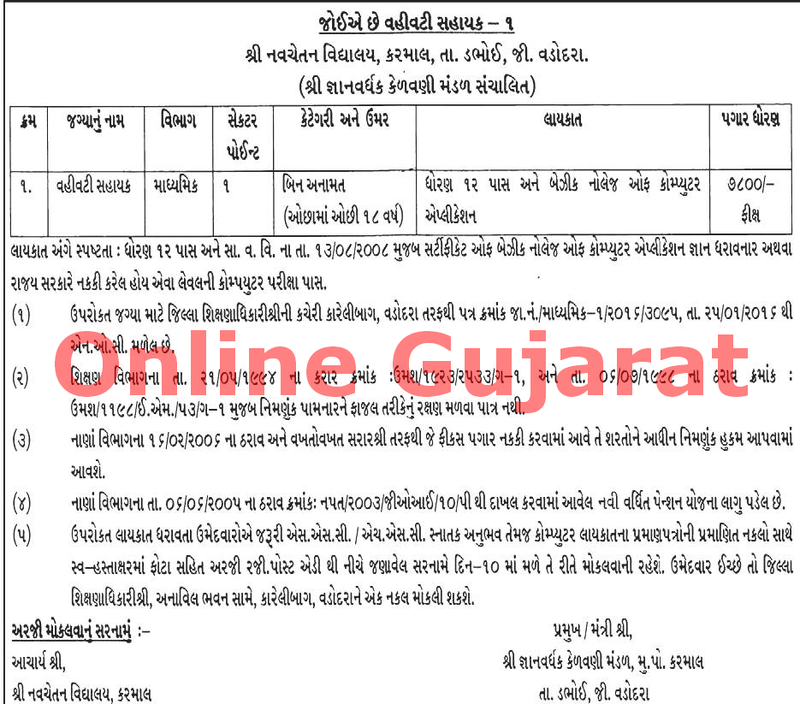 Navchetan Vidhyalay - Vadodara published notification for recruitment for Vahivati Sahayak post . For more details about this recruitment like, educational qualification, age limit, selection procedure, how to apply as under. You can view more details about this recruitment by following link.